Take a look at the rest of our season's offerings, and get in touch via hello@victoriavelasco.com to order. Hope you like these!! 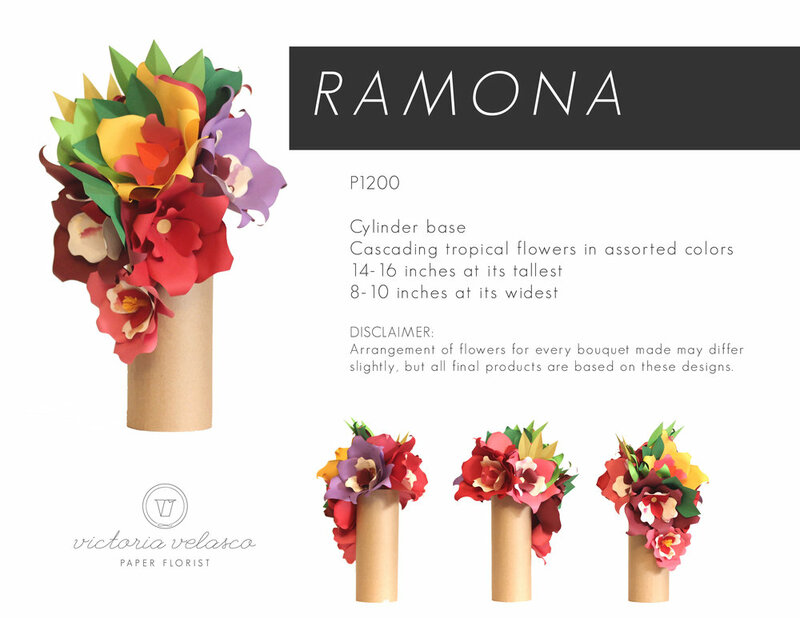 You may request for the bouquet to be made in your mom’s favorite color. You may request for a smaller box base like this one. The full bouquet with flowers will be 8-10 inches tall. This mini-arrangement is P950. These Mother’s Day options are made with tropical-inspired flowers. You may request for the bouquet to be made of roses. 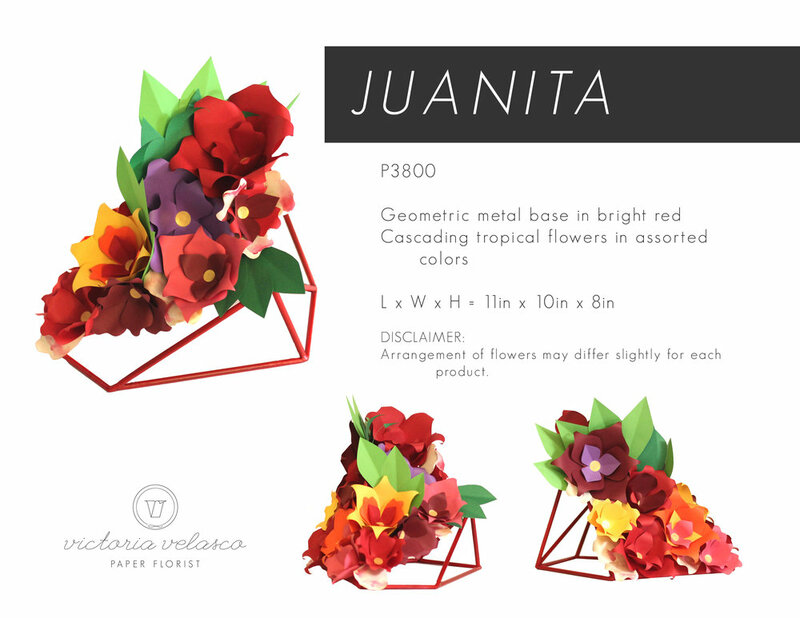 Here is what our paper roses look like, in red and painted paper. Include a personalized greeting! Let us know what you want to say. Get in touch with your bouquet details: hello@victoriavelasco.com. Avail of a 15% discount for RAMONA and ROXANNE orders confirmed and paid for by Thursday, May 4, 2017. Payment options: BPI or BDO bank deposit or transfer . Delivery is available for Metro Manila addresses from May 9-11. Limited slots for delivery. For May 12-14, pick up point is in Magallanes Village, Makati City. We'd love to help you celebrate Mother's Day! Let us know how we can help! To celebrate Valentine's Day, Toblerone Philippines helped their ambassadors #givethebestlove with these bouquets of chocolates and paper flowers! I collaborated with the creative minds behind shoe brand Renegade Folk and photographer Paolo Crodua to come up with this holiday campaign to end the year! Visit the full lookbook here: http://www.renegadefolk.com/pages/rf-holiday-15-lookbook. 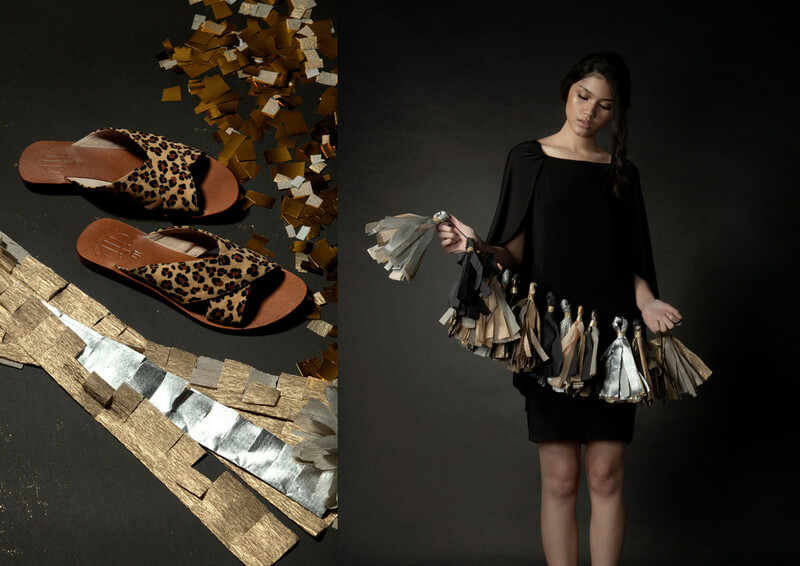 For their holiday look, Labrador Factory Philippines wanted structured and celebratory decor. Here, we covered the walls of the store with large origami Christmas trees to light up the place with the festive spirit.